I would like the foreground to be bright and scrappy. Very saturated prints that read as all one color. My favorites are common in the Cotton & Steel palette, Aqua, Mustard, Navy, and Magenta. But anything that is bright and saturated will work. Please use low volume prints for the "background." I prefer super low volume prints, white on white, or light grey, but use what you have. No solids, novelty fabrics, or traditional batiks. Please do not use solids anywhere on the block. Also, please don't use prints that are too large (for example the C&S mustangs print is awesome but wouldn't work well here). My favorites are Carolyn Friedlander, Lizzy House, Karen Lewis, and any Cotton and Steel, especially the basics. Please make the block entirely scrappy throughout. For example on the x-shaped block use 4 different colors in the foreground, and 4 different corner colors on the o-block. 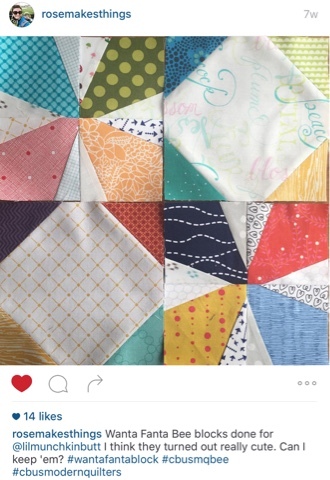 DO NOT sew the 4 blocks together. You should make 4- 6.5" blocks. 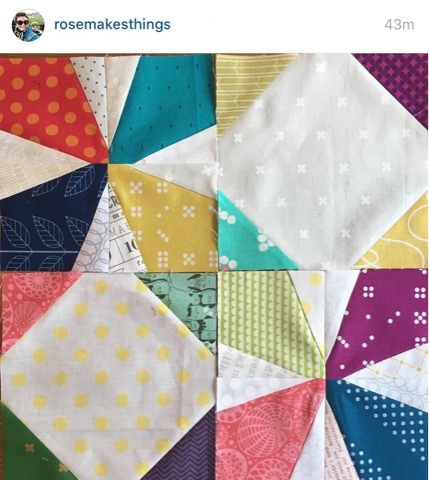 Links to example of the quilt block or fabric you would like us to use.